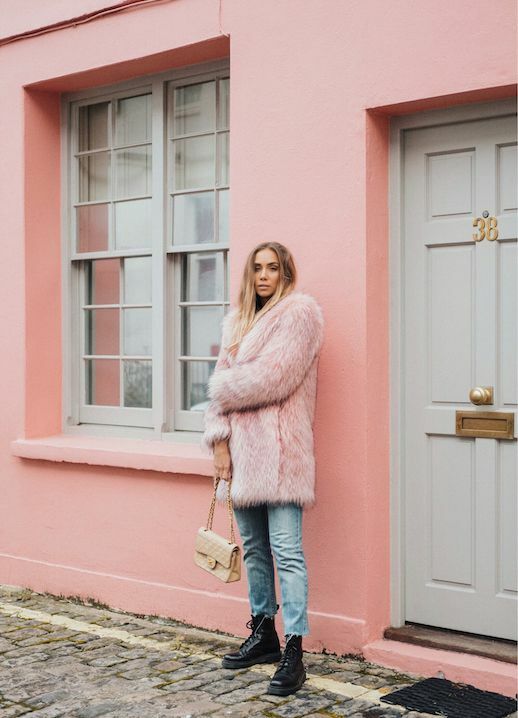 Lisa Olsson is constantly pushing the envelope and always surprising her readers with inspiring and unique looks we can all appreciate. 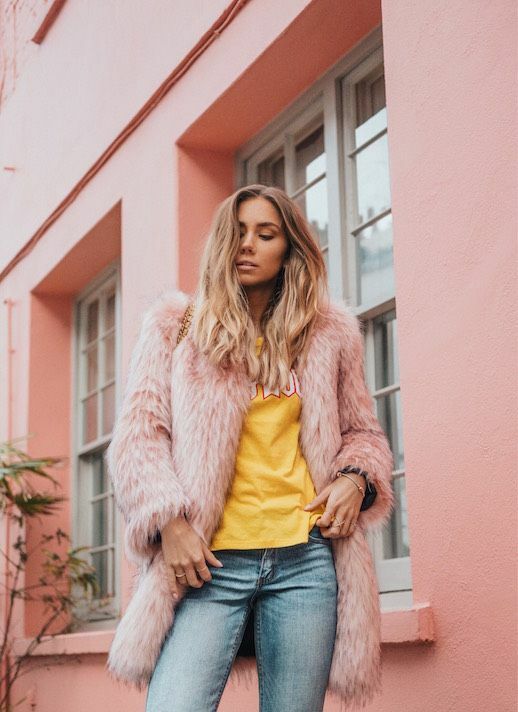 She wore a blush toned faux fur coat, yellow graphic t-shirt, raw hem jeans and black combat boots. It's edgy and feminine all in one but overall, it's super cool.